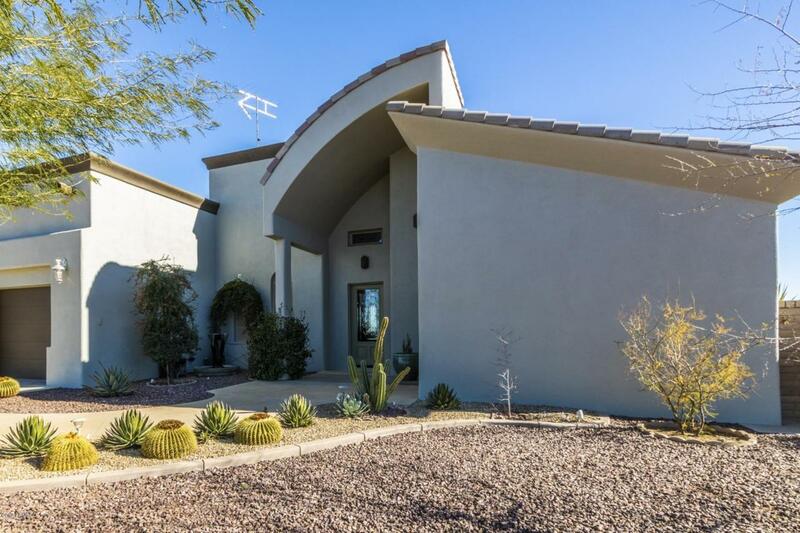 This special property features a contemporary 2 bedroom, 1 3/4 bath, office & family room with wall-to-wall travertine floors & granite countertops. 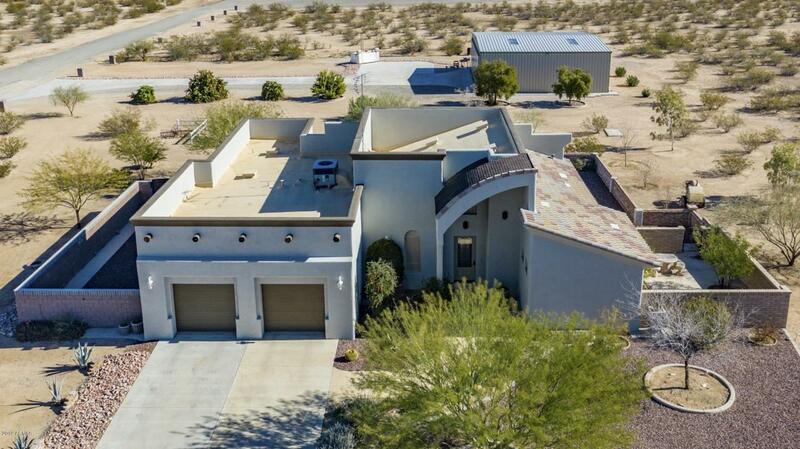 The home was constructed with Rastra Block & finished with stucco for high energy efficiency. Covered Patios & a huge Courtyard for outdoor living are accessible from the Master & Guest Bedroom Ensuites. 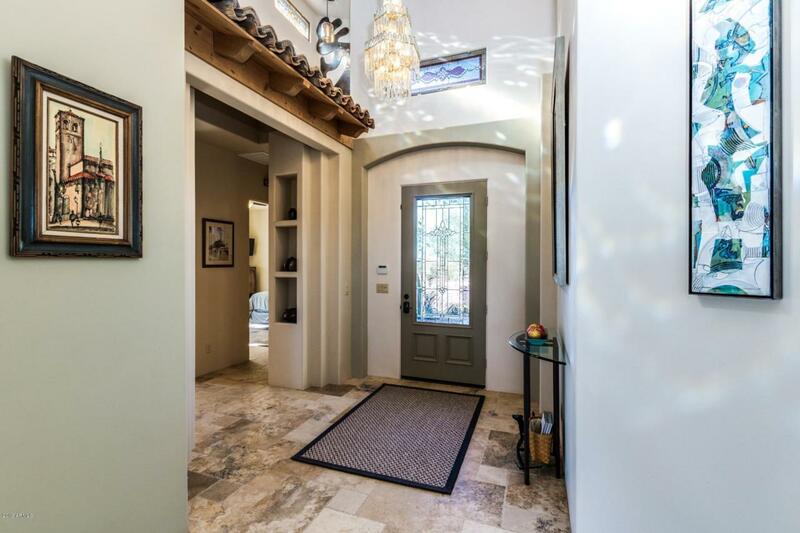 An open entry leading to the dreamy Chef's Kitchen & family room is gorgeous! The 50'x46' fully-insulated hangar is complete with bathroom, workbenches & 1,000 gal. aviation fuel tank. The masonry block wall, extensive landscaping & overall quality of the property raise it to a caliber you will be proud to own & enjoy. It's an easy taxi to the runway for takeoff. 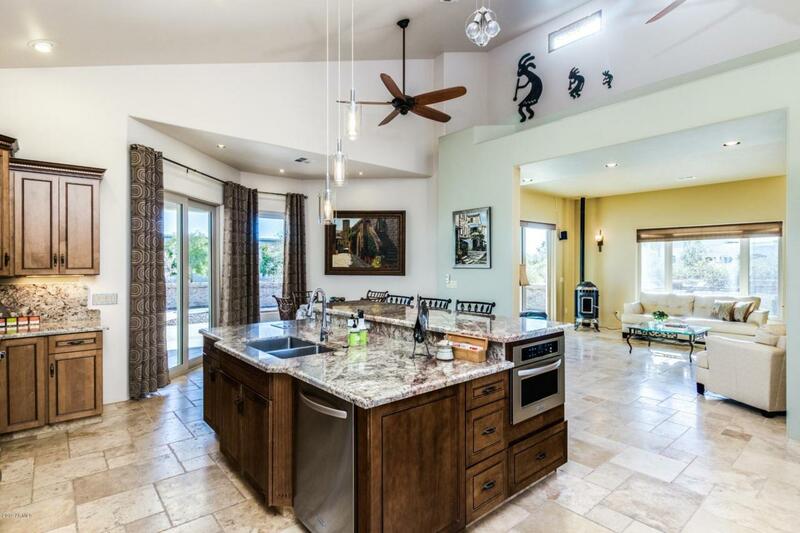 Come see the property & extra features to start enjoying the good life!